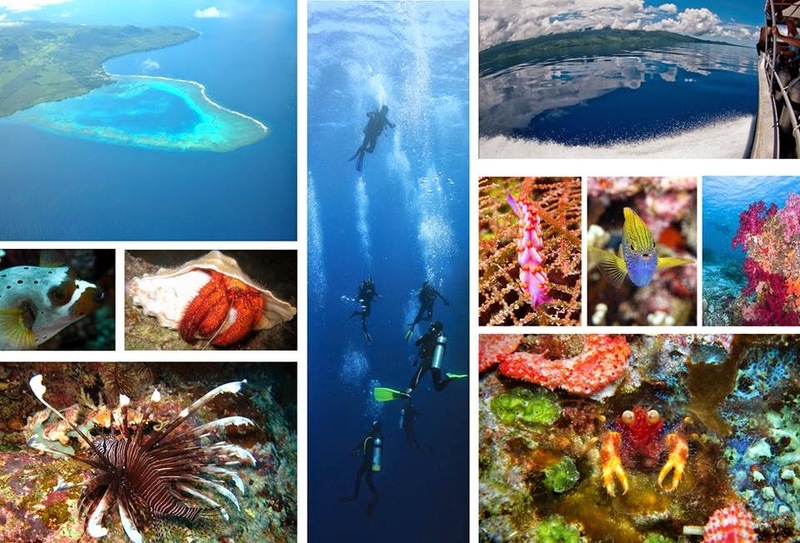 This is our last month on Taveuni and we're trying to do and see as much as possible. The first few months flew by so now we're trying to make every second count! We spent this past weekend on the nearby island of Qamea. We stayed at Maqai Beach Eco Resort. The resort offers a dormitory as well as private tent-like bures on the beach. The room cost ranges from $30 FJD/night to $180 FJD/night. A meal plan is mandatory as there are no shops or restaurants on the island and that runs an additional $85 FJD/night. The trip was a bit of a splurge for us, but ended up being totally worth it! Breakfast was continental and featured a range of fresh fruits and muesli. The lunches were amazing and our favorites. On Saturday, we had pumpkin soup, cassava, and charred eggplant in coconut milk with peppers and onions. On Sunday we had dahl soup, poori and vegetable curry. In between meals, Jack prepped coconut for us. We had both fresh coconut and coconut cooked in the sand. 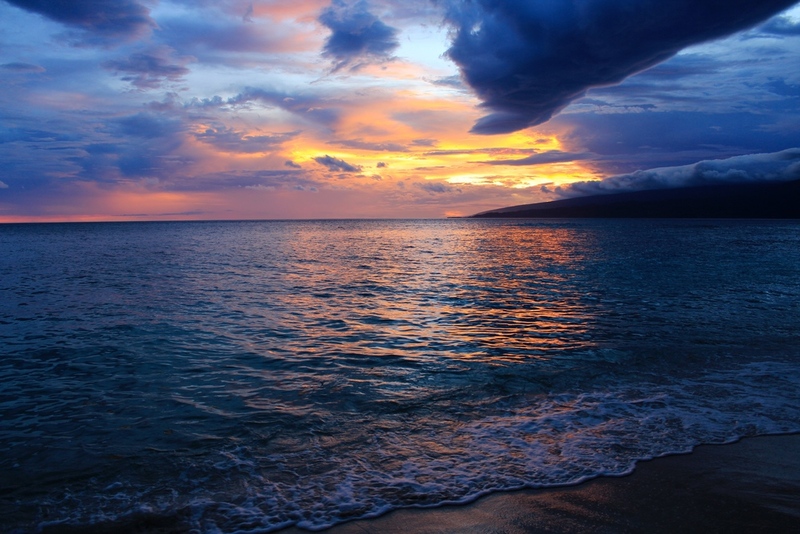 The surroundings were beautiful- a pristine beach that catches beautiful sunsets on, and a tropical rainforest behind it. There are parrots, doves, wild pigeons and other winged beauties flying around. We spent the days surfing, kayaking, paddle-boarding, snorkeling, and doing handstands on the beach. They offer surf lesson and I would have definitely taken one had we had more time. Jack gave me a quick lesson instead; I didn't manage to stand up but I had alot of fun trying! Jack caught some nice waves. Jack also taught me to skim board on a paddle-board which was awesome. Snorkeling gear and kayaks can be borrowed free of charge, so we went out for both a few times. 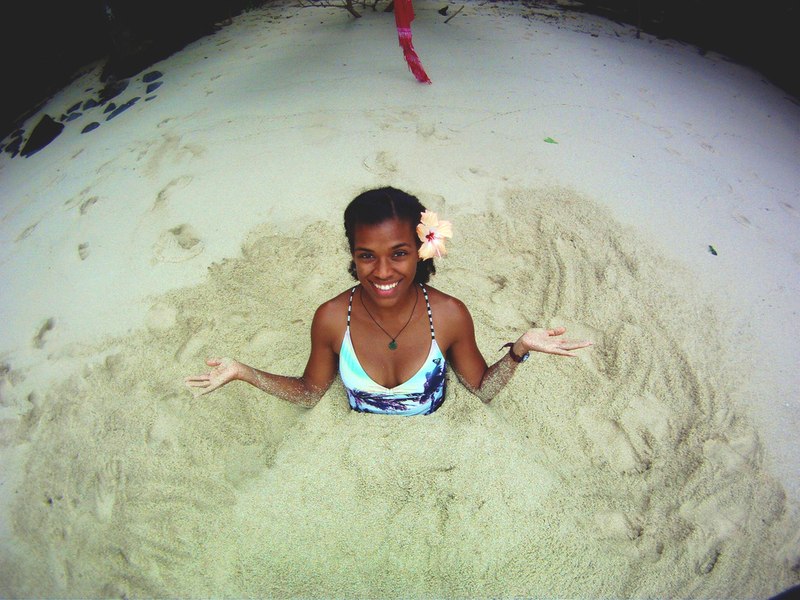 We don't have a beach at Paradise Taveuni, so it was exciting to spend the weekend running around in the sand. 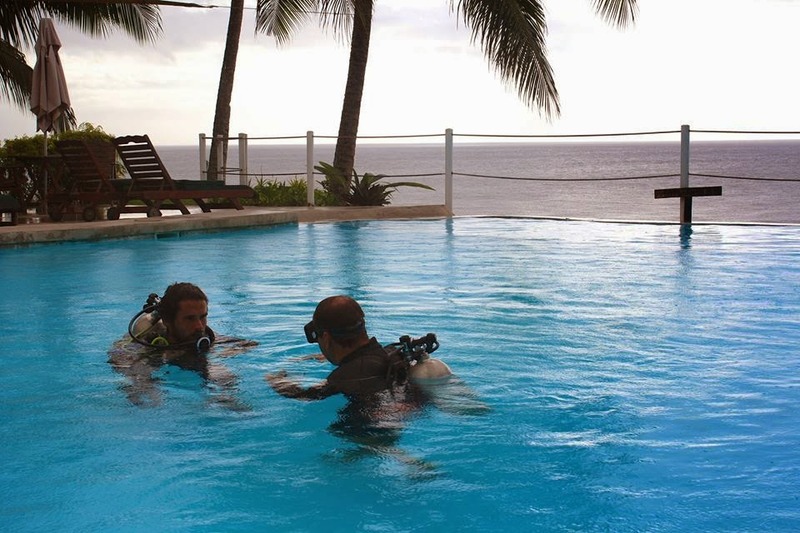 It was a trade-off though, as the snorkeling is much better at Paradise, where you jump right into a tropical aquarium. 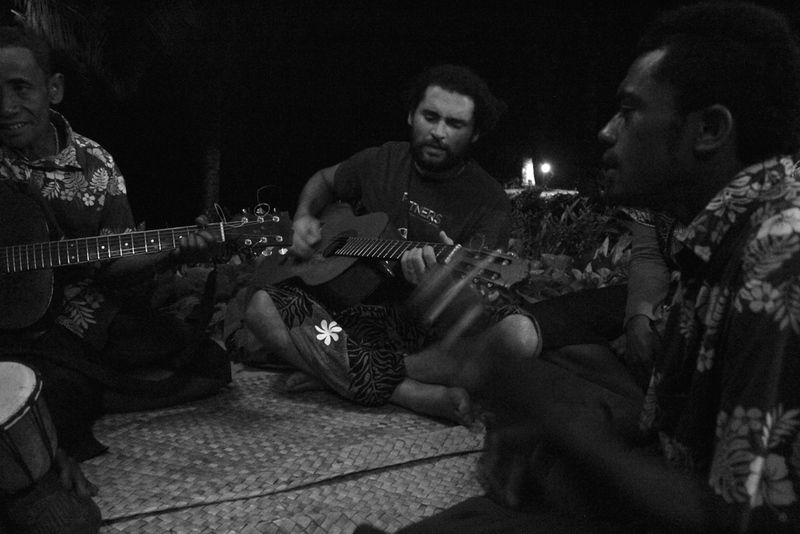 On Saturday night, we sat around the kava basin, and enjoyed some Qamea yaqona (kava). We really enjoyed sitting with the staff and the other guests. Una, Bale and Vili were fantastic hosts and they made our stay extra special. Jack and Vili drank from a giant bilo that could hold 5 regular bilos. While having the mix, we also enjoyed music- they shared some original songs which were beautiful to hear. Overall, we can't say enough good things about Qamea and Maqai Beach, so we'll add this to our list of places to come back to! This is a favorite Fiji-inspired dessert that our auntie taught us in the states. Vakalolo is a Fijian sweet that is usually steamed in banana leaf and served with fresh warm coconut milk. Since we like to make this in the states, we worked without the banana leaf and coconut milk and made a baked version. Grated cassava (aka tapioca) and grated coconut can both be found in the frozen section of many Asian grocers. The recipe calls for equal parts cassava and grated coconut, plus sweetener and ginger. This is usually made with brown sugar, but we tried it with dates and enjoyed the results. Process the cassava, 1 cup of the coconut and dates. Transfer mixture to a bowl and mix in the remaining coconut and ginger. Press into pan or muffin tray. I used a mini-muffin tray. Bake at 350 degrees for 15-20 minutes, give or take. Use a toothpick to test for readiness- the result should be moist! Drizzle with warm coconut milk or serve as-is! Today in school, we tried this recipe for healthy date balls. In the classroom, I explained the meanings of the words “zest,” “fine,” and “ground,” and we reviewed the abbreviations for grams, teaspoon and tablespoon. The recipe is straightforward and the kids did everything on their own except operate the blender!